Window treatments offer several unrecognized benefits to homeowners. Did you know that window treatments actually do much more than just cover the windows in your home? They have several other unrecognized advantages that are frequently overlooked. They are commonly used to improve the function and appearance of your windows. Some common examples of window treatments include curtains, drapes, blinds, and shutters. Here are a few of the benefits of utilizing window treatments in your home! Nosey neighbors are the worst! You should be able to live in the comfort of your home without having to worry if someone is watching your every move. Since window treatments can cover your windows entirely, they will give your home more privacy. They are frequently used in bathrooms and offices, where people generally need more privacy than other parts of the house. There are plenty of homeowners who take advantage of natural light. With window treatments, you have the ability to control the amount of light that shines into your home. It is nice to have this ability. Sometimes, you want a dark atmosphere if you are watching a movie or trying or trying to take a daytime nap. Other times, you want the natural light to shine through your windows if it’s is a sunny and pleasant day. One of the main reasons why people invest in windows for their home is for the aesthetics they can provide to a room. 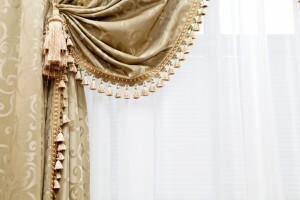 A bare window is rather boring; however, a colorful drape or curtain can easily fix that. There are all sorts of window treatment options available today. You should have no trouble finding something that complements the current style of your home. Are you trying of spending tons of money on your monthly energy and utility bills? If this is your goal, window treatments can help! Many people do not realize that they are actually excellent insulators. They can stop heat from entering your home in the summertime. They will also help keep heat from escaping from your home during the winter months. For these reasons, you won’t need to utilize heating and cooling devices nearly as much.